When Waldensian immigrants from northern Italy founded the town of Valdese in the late 19th century, they brought with them soutisso sausage (made from lean pork, spices, and garlic). Today, 100 Main proudly serves that staple along with a variety of full-flavor comfort food. The dishes are familiar yet exciting, such as burgers topped with apple slaw and lasagna made from smoked pork. 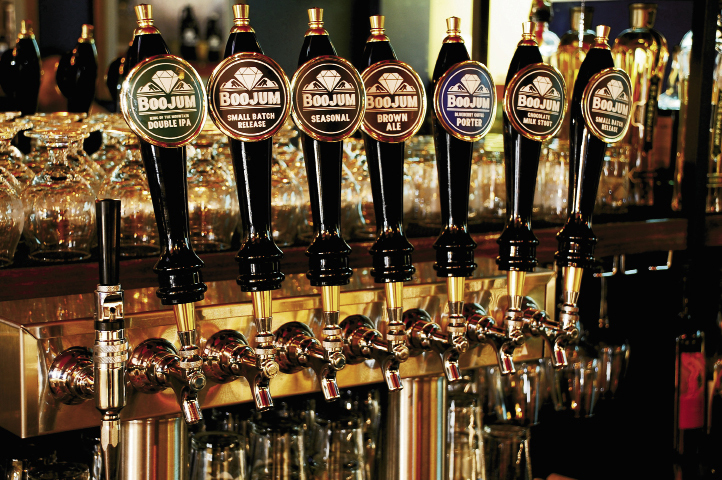 Pair a meal with one of several North Carolina beers on tap or a craft cocktail.